A vibrant and healthy downtown is very important for Osoyoos’ continued success as a service and tourist centre, and for attracting new business and residential growth. Recognizing this importance, Osoyoos Town Council has budgeted monies for retaining qualified consultants to prepare a Town Centre Renewal (TCR) Plan with guidance from an advisory Task Force including up to 8 citizen representatives. The Town Centre Renewal (TCR) Task Force will contribute to developing terms of reference (TOR) for consultant services, and will act as a resource during plan preparation. As a starting point for Task Force discussions, Council has approved a multi-program approach which purposefully goes beyond the exclusive design focus of many downtown plans on physical improvements and also takes in other complimentary and mutually reinforcing downtown programs for business development, promotional activities, and organizational building. The Town will finalize formation of the Task Force by August 21, 2017, ready to prepare consultant TOR and retain a selected consultant by the beginning of October. Plan preparation will proceed through the winter with Task Force participation at regular consultant meetings along with a strong public engagement process. We expect that the Task Force will largely be made up of Downtown stakeholders but some representation from the community-at-large would also be beneficial. 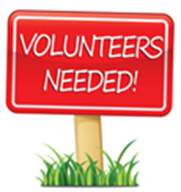 If you wish to volunteer please submit a letter of interest by Monday, July 31, 2017 to the undersigned describing why you are interested in serving on the Task Force and how your personal background would assist you to make a contribution.